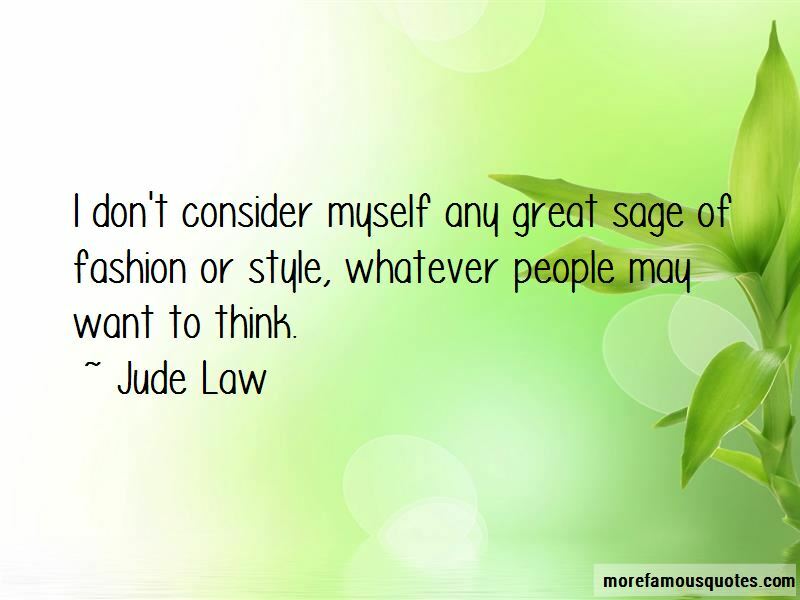 Enjoy the top 65 famous quotes, sayings and quotations by Jude Law. I think everyone goes through chapters in their life and there was a time when I wasn't feeling terribly positive about what I was contributing to film, or wasn't feeling as if I was going in the direction I wanted and I re-evaluated what I was doing. Personally speaking there's only so long you can go from film to film to film. There's an inspiration an actor gets from the stage. 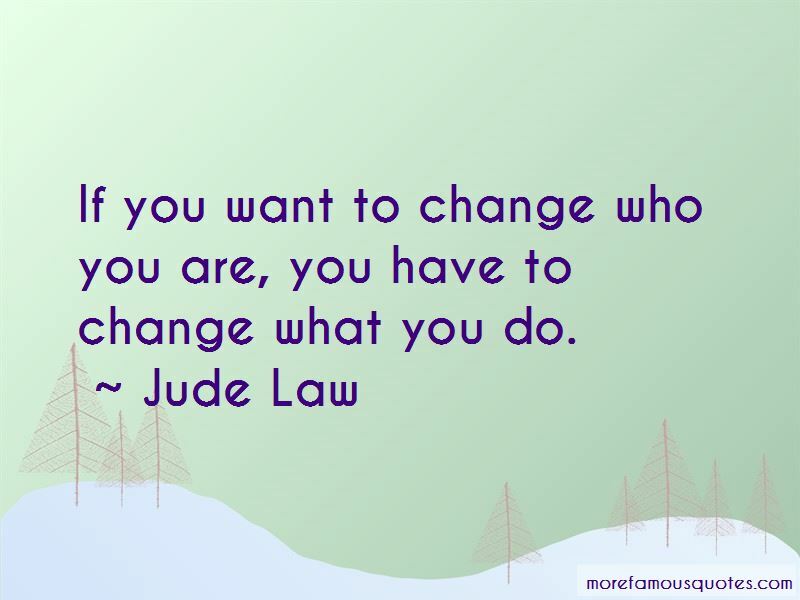 If you want to change who you are, you have to change what you do. I worry about that terribly because the public eye can bring all sorts of unwanted intrusions and problems. But he's treading his own path. I think the modeling is something that Rafferty Law sees as a pastime and something to maybe give him a bit of pocket money. He's a musician mostly. He's in college studying music, which he takes very seriously and I think that is something that he will concentrate on in the future. 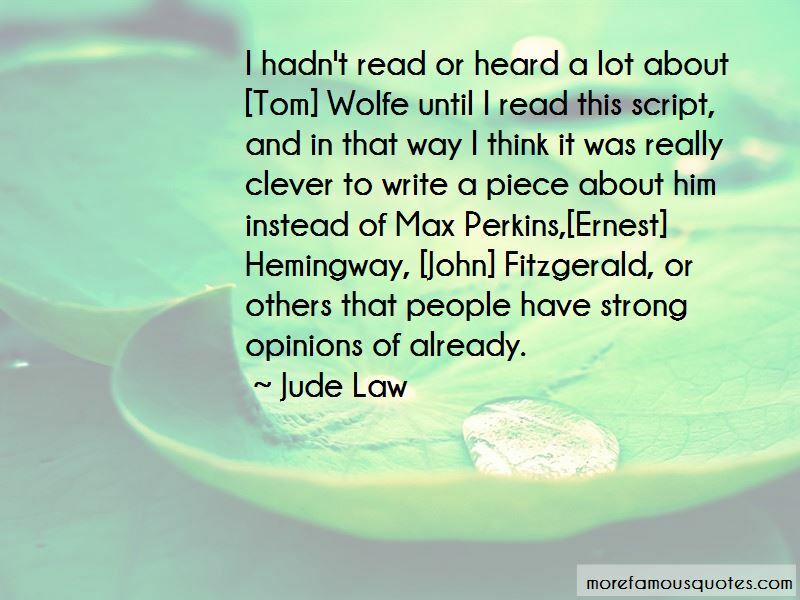 I hadn't read or heard a lot about [Tom] Wolfe until I read this script, and in that way I think it was really clever to write a piece about him instead of Max Perkins,[Ernest] Hemingway, [John] Fitzgerald, or others that people have strong opinions of already. I've always liked what Thomas More said in Utopia, which is that in Utopia every person is allowed their own lifestyle and religion but no one is allowed to stand on a soapbox and tell others that theirs is right. I thought that was brilliant. Brilliant. There are always seasons to a career and perhaps always the grass is often greener, you're often looking at other people's careers going, "Damn, they get all the good roles. Why didn't I read that? Why didn't they ask me to do that?" Want to see more pictures of Jude Law quotes? 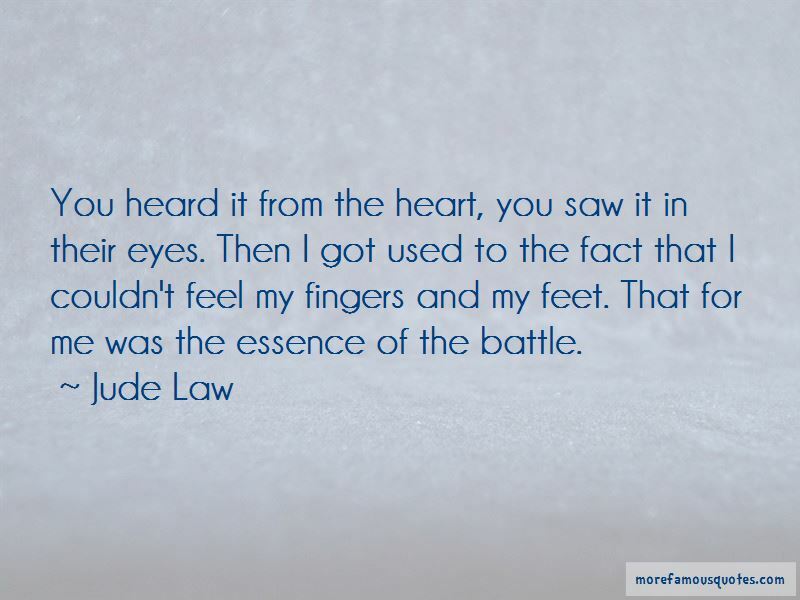 Click on image of Jude Law quotes to view full size.